Tall, scruffy private investigator Caleb Pike knows insurance fraud and enjoys catching those who cheat the system. But it’s what he doesn’t know that could kill him. Caleb is sent to investigate a case that makes no sense, a data anomaly discovered by Jenny Miller, an academic as smart as she is stunning. She finds that American seniors are dying in numbers that defy statistics, not by natural causes, but in violent murders. Caleb and Jenny team up and travel west to California, chasing down the clues that could unravel the mystery behind the deaths. Their journey to the Golden State reveals the shocking details of who is ordering the murder of innocent seniors, and why. 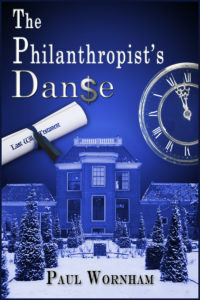 As they close in on the truth, the syndicate behind the murders acts to protect their lethal, lucrative business. Caleb and Jenny join a deadly race against time, pursued by ruthless enemies ordered to ensure the killings continue, whatever the cost. 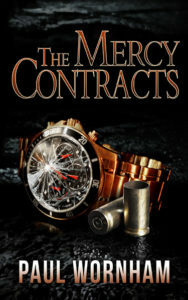 The Mercy Contracts is a fast-paced, suspenseful story full of intrigue and action, with a little romance on the side.